It only took Roberto Aguayo one day to find a new NFL home, as the Chicago Bears have picked up the former Bucs kicker off of waivers. The Tampa Bay Buccaneers releasing Roberto Aguayo after he had a bad preseason game reminded everyone of one of the worst draft moves in recent memory. Jason Licht’s decision to trade up into the second round to draft the Florida State kicker was heavily scrutinized at the time, and for every mistake he made in his rookie season, fans were never going to live it down. The move wasn’t totally indefensible. The Bucs hoped that taking one of the most accurate college kickers of all time would help them win the close games they needed in order to make the playoffs, but instead, he went 22-of-31 on his field goal attempts and never made a kick beyond 43 yards. 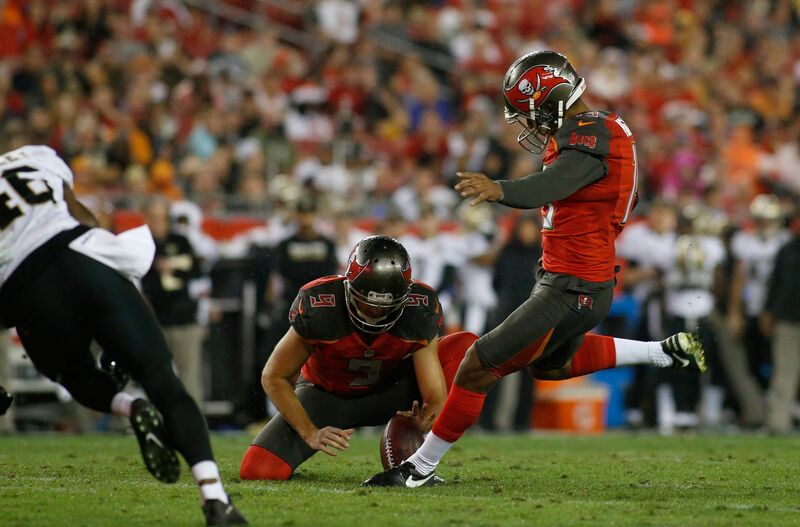 Source: former Bucs K Robert Aguayo has been claimed by the Chicago Bears off of waivers. Yes, he spelled his name wrong, but he corrected it in a follow-up tweet. Yates also added that the Bears placed Reuben Randle on IR to make room for Aguayo. Despite how often he got criticized, Aguayo still achieved the highlight of his career when he made the winning field goal against the Carolina Panthers in Week 5 of the season. You also can’t help but feel like the Bucs put too much pressure on him to live up to his status as a second-round kicker, but the blame lies solely on Licht for making that trade. As for the Bears, claiming Aguayo can help them find that long-term replacement for Robbie Gould. It’s no guarantee that he’ll revive his career in Chicago given how much of a dumpster fire they are, but he should play better now that he’s out of Tampa Bay.